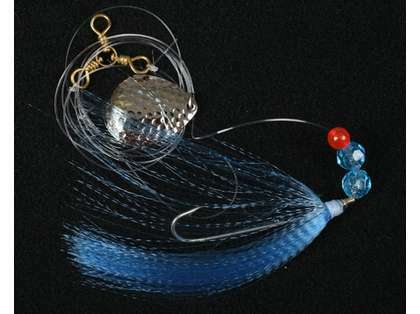 The Andrus Big Guy Spinner Rig is designed to attract fluke, made with spinner and nulon. Use minnows, squid, spearng sand eels, or cut fish strips on the rig. Always while drifting or still fishing, frequently raise rod a few inches to encourage hesistant fish to bite.